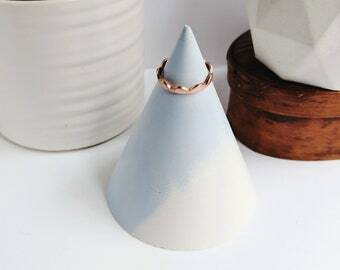 Ring Cone Set. Newlywed Gift. Concrete Ring Holders. Geometric Concrete Ring Display. Modern Ring Stand for Wedding. Engagement Gift. 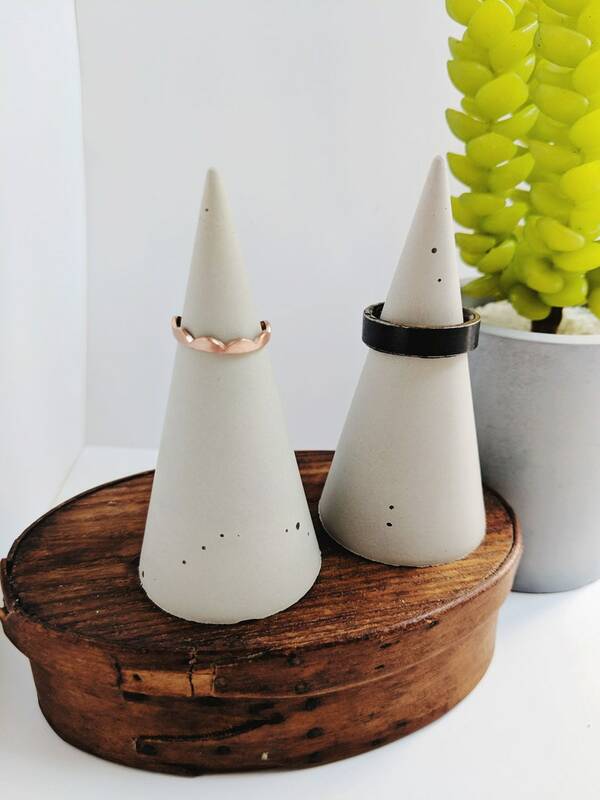 Set of two concrete ring holders to keep by your bedside, at the sink, or your desk. 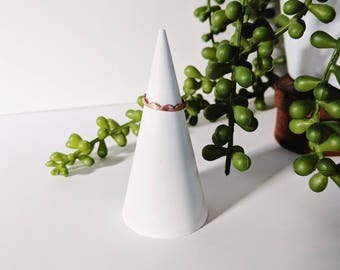 This modern and geometric ring cone can hold a few rings at a time, and is a beautiful display piece on its own if you are wearing your rings. 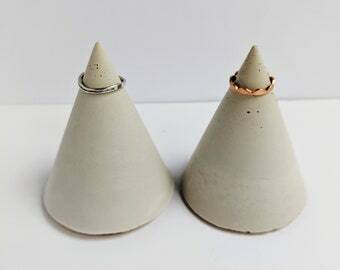 This set is a great wedding gift, one ring cone for each half of the new couple! + I've added a piece of cork to the bottom to help it stay put, but also to prevent scratches on any delicate surfaces. + The concrete finish is smooth and has a slight shine. 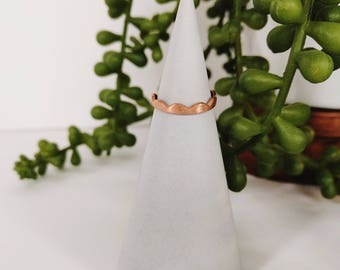 + These ring cones are handmade, and no two pieces will be the same. These slight variations make each piece unique. 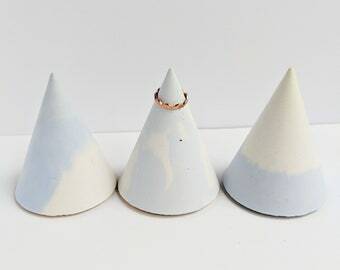 Curious about the other colors we have for the tall ring cones? Ring Cone Set. Groomsmen Gift. 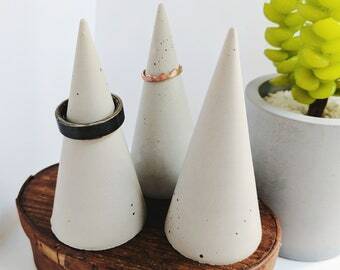 Concrete Ring Holders. Geometric Concrete Ring Display Set. Modern Concrete Ring Cones. Men's Ring Holders. Concrete Ring Cone. Wedding Gift. Ring Holders. Geometric Concrete Ring Display. Modern Ring Cone Stand. Bridesmaid Gift. Modern Concrete. Blue Concrete Ring Cone. Bridesmaid Gift. Concrete Ring Holder. Geometric Ring Display. Modern Ring Cone Stand. Concrete Jewelry Display. Blue Concrete Ring Cone. Ring Holder. Geometric Ring Display. Bridal Shower Gift. Concrete Jewelry Display. 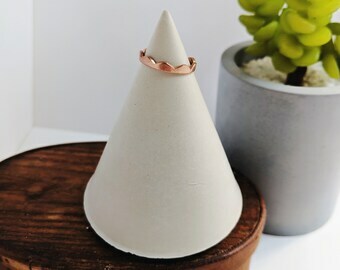 Modern Ring Holder Cone. 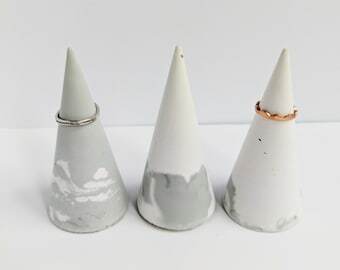 Concrete Ring Cone Set. His and Hers Gift. 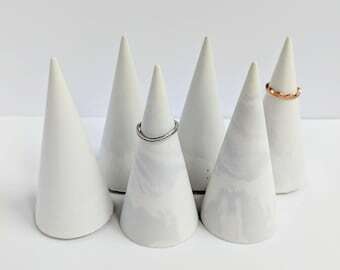 Minimalist Ring Holders. Geometric Ring Display Set. Modern Concrete Ring Holders. Gifts for Her. Marbled Concrete Ring Display. Engagement Ring Holder. Newlywed Gift. Gifts for Her. Blue Concrete Ring Cone. Geometric Jewelry Holder. Jewelry Storage Gift. Concrete Ring Holder. Marbled Ring Display. Gifts for Her. Blue Concrete Ring Cone. Geometric Jewelry Holder. Concrete Ring Holder. Bridesmaid Gift. 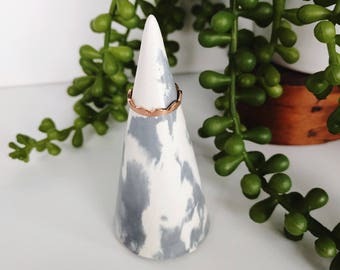 Marbled Concrete Ring Cone. Modern Jewelry Display. Marbled Concrete Ring Stand. Bridal Shower Gift. They're so well made! Thank you so much! The concrete ring cones are exactly as pictured. Very attractive! This is exactly what our office needed. I work in an open plan office with heavy timber columns. We use the wall hooks to hang our coats and bags. They're extremely robust and look awesome. Minimalist Concrete Wall Hook. Modern Sphere Wall Pegs. Concrete Coat Hook Storage. Entryway Coat Hooks. Concrete Necklace Holder. The cone is wonderful, great quality. Initially the color was a bit lighter than I thought it would be but Erin was extremely helpful and understandable. She immediately suggested to return it and made 2 (!) new versions of the one I ordered, updated me about the progress with pics, and finally send the new cone to me. And all this in an extremely timely manner. Bottom line: the cone is lovely, and the contact amazing. Erin really made sure I get the best product possible. Thank you!! Blush Pink Marbled Concrete Ring Holder. 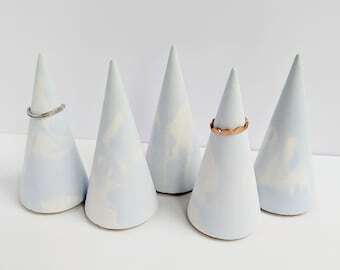 Bridal Party Concrete Ring Cones. Custom Ring Dish. Minimalist Ring Holder. Modern Ring Display. Dimensions are included in the description of each listing. By purchasing the listing, you are agreeing you have read and understood the dimensions of the item. Please note that items such as candles, plants, pens, and jewelry etc. are for styling and photos only, and will not be included in your purchase, unless stated otherwise. Gift wrapping can be added (see separate listing). Let me know if you'd like me to include a note! Marbled Concrete Ring Holder. Concrete Ring Cone. Bridesmaid Gift. White Concrete Ring Display. Gifts for Her. Geometric Jewelry Holder. 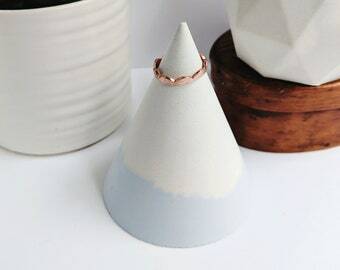 Light Blue Modern Concrete Ring Holder. Gift for Her. Concrete Ring Cone. Custom Ring Dish. Minimalist Ring Holder. Geometric Ring Display. Concrete Ring Cone. Bridesmaid Gift. Ring Holder. Geometric Concrete Ring Display. Bridal Shower Gift. Marbled Concrete Jewelry Display. Sage Green Marbled Concrete Ring Holder. Gift for Her. Concrete Ring Cone. Custom Ring Dish. 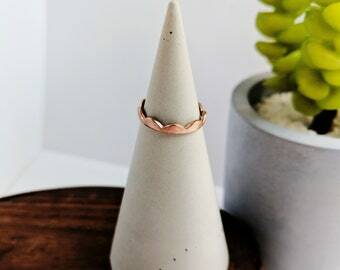 Minimalist Ring Holder. Modern Ring Display. Modern Concrete Ring Holder. Gifts for Her. Concrete Ring Cone. Wedding Party Gift. 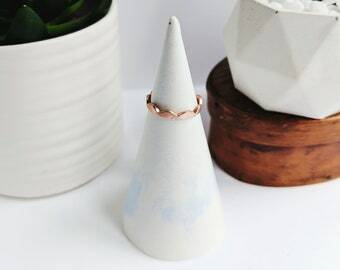 Minimalist Ring Holder. Geometric Ring Display. Light Blue Marbled Concrete Ring Holder. Gifts Under 20. Concrete Ring Cone. Minimalist Ring Holder. Modern Ring Display. Marbled Ring Dish. Light Gray Marbled Concrete Ring Holder. Gifts Under 20. Concrete Ring Cone. Custom Ring Dish. 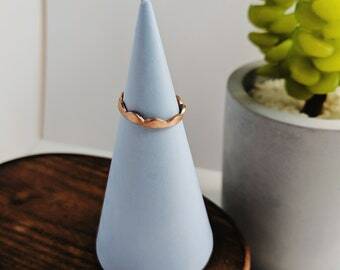 Minimalist Ring Holder. Modern Ring Display.